As an online public school, iQ Academy Minnesota is tuition-free and available to students in grades K - 12 residing throughout the state. iQ Academy provides the structure, administrative support, oversight, accountability, and state testing required of all public schools. As part of the public school system, iQ Academy is tuition-free, and the entire K12 online curriculum is available to students free of charge. iQ Academy lets students learn in the ways that are right for them. The key is our individualized approach. We develop a comprehensive learning plan with objectives for each child. 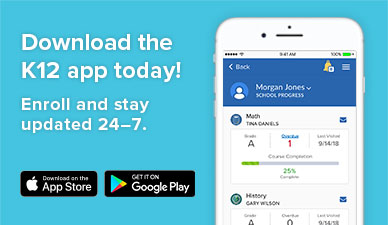 This creates a customized education for each student focused on his or her unique learning needs, goals, and interests. iQ Academy uses award-winning online curriculum and services from K12. Your student's learning can happen anywhere an Internet connection is available. Students access their courses through an easy-to-use Online School (OLS), which includes tools to manage their lesson plans, attendance and schedule, and to communicate with teachers. While lessons are online, the curriculum also includes physical materials and hands-on tools. 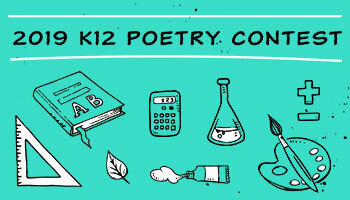 Core subjects include language arts/English, history, math, science, music, art, and world languages. Online courses contain rich, engaging and interactive content designed to support our individualized approach to learning. A wide selection of academic and career-focused electives is available for high school students. 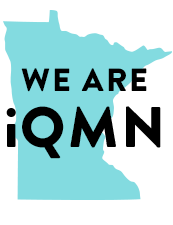 iQ Academy teachers are Minnesota-licensed and trained in their specific subject area. They manage all facets of the instructional experience, help develop your child's Individualized Learning Plan, monitor his or her progress and attendance, answer questions, and conduct online parent meetings as needed. At the high school level, teachers provide instruction in live, online class sessions. Students communicate regularly with one or more teachers (depending on the grade level) through e-mail, telephone, and online meetings. Teachers receive extensive training as well as ongoing professional development to become experts in online instruction. iQ Academy parents are excited about taking an active role in their children's education. For parents who are new to online learning, their excitement may be mixed with a little apprehension. We understand this, and have designed our program to provide the tools, skills, and support needed through ongoing trainings, workshops, and opportunities to connect with other iQ Academy parents. In grades K - 8, working closely with the teacher, the parent (or other responsible adult) serves as a Learning Coach to the child, helping to facilitate his or her progress and working to modify the pace and schedule as needed. At the high school level, the adult is less involved, as students work at more of a collective pace with a class of students in conjunction with the teacher. Students in grades K - 2 spend only a small percentage of their time at the computer, with a gradual increase as they progress through grades 3 - 6. Students in grades 6 - 12 should plan on spending about one hour a day, five days a week working on each course. Along with coursework, students need additional time to complete assignments and study for tests and exams. Half-credit courses generally take half as much time as full-credit courses. Qualified, full-time, iQ Academy students are eligible to receive a loaned computer for the school year. * In addition, students receive boxes of education materials delivered to their doorstep that include textbooks, CDs, videos, and other hands-on tools and resources at no cost to enrolled families. These materials complement the online elements of our program, ensuring that students receive instruction using the best method for each subject. * Note: Families are required to provide Internet access in their homes. While high-speed connections are preferred, courses will run on dial-up connections. (For a full list of the technical requirements for the best performance of the online lessons, check the Technical FAQs page. To introduce iQ Academy families to online learning and to ensure their success, we provide orientation training that includes Q&A sessions, practical advice, tips, and much more. Extensive support is also available for parents and students throughout the school year. A variety of online student clubs and parent workshops, as well as monthly virtual and in-person events, enable the entire school community to network and build friendships.